Then you run a “docker version” command to make sure everything is normal and you get that connection error. 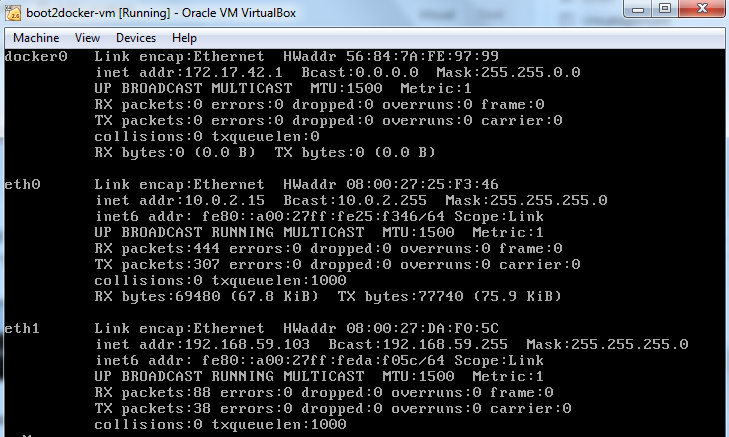 This message indicates that there is something wrong with the networking. 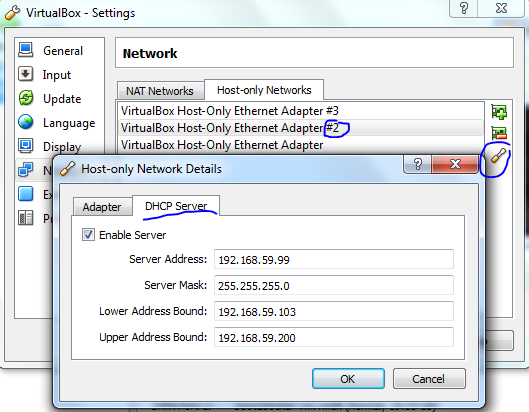 As you can see NAT isn’t setup but on the “Host-only Networks” there are several NICs and one of them [#2] is within the same subnet as the Linux IP. 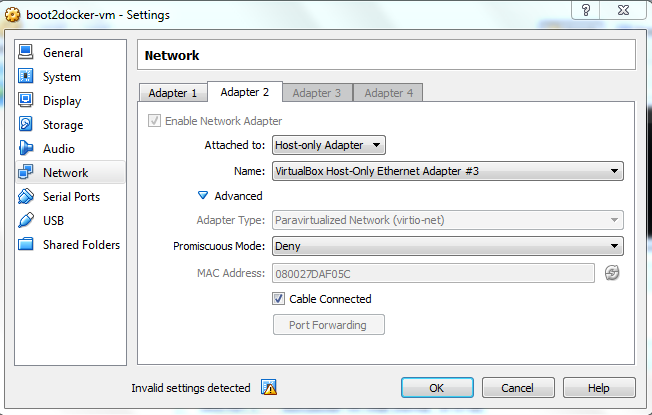 Before doing so I have also disabled DHCP on NIC #3. Now if you reboot, it should work. This entry was posted in Linux and tagged Docker, Linux. Bookmark the permalink. I downloaded docker 1.6.0 for Windows, and hit the same error that you have posted here. Inspite of everything, I was not able to get over the FATA error. Then I read the meesage that I could directly run docker or run boot2docker ssh. The boot2docker binary reads configuration from $BOOT2DOCKER_PROFILE if set, or $BOOT2DOCKER_DIR/profile or $HOME/.boot2docker/profile or (on Windows) %USERPROFILE%/.boot2docker/profile. boot2docker config will tell you where it is looking for the file, and will also output the settings that are in use, so you can initialise a default file to customize using boot2docker config > ~/.boot2docker/profile. The reason that my IP-connection did throw the same fit as described above was BECAUSE I HAD ACTIVATED MY VPN CONNECTION WITH WORK. 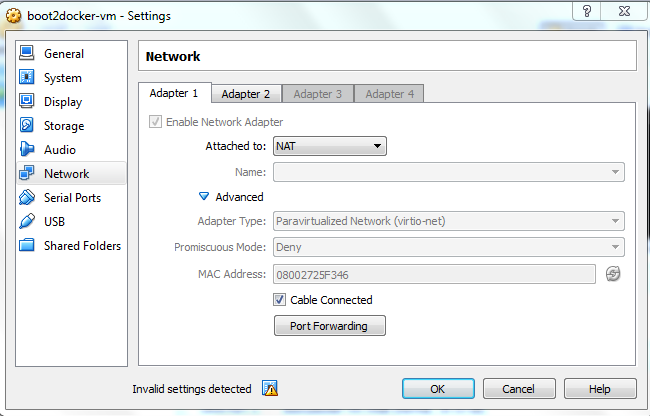 The moment I disconnected my VPN, the connection-problem had disappeared (and returned the moment I switched it back on). After a lot of googling, it was your article that resolved my connectivity issues. 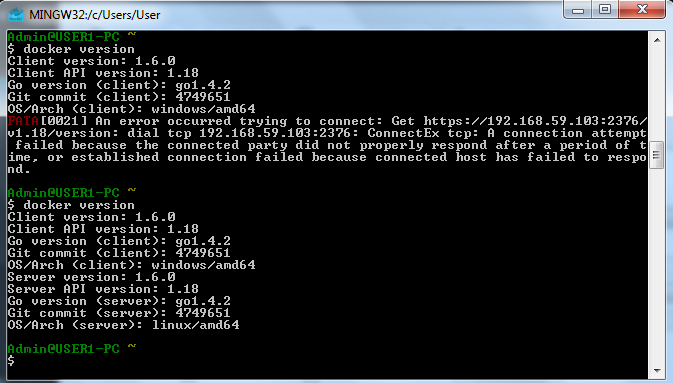 I finally have docker in windows.